Plants have been used as both food and medicine since the beginning of our human journey on this planet, as far as we know it. For centuries we have been using plant remedies and medicines to prevent and cure all sorts of ailments. During the 1900’s we commercialized the synthesis of medicinal plant ingredients into pharmaceuticals. Today, we are coming back to working with the Plant Kingdom in a more connected and natural way. We are combining the best of what the ancient civilizations knew with what our modern science can tell us. Such is the case with the coca plant. A native to western South America with over 250 varieties, the properties of this plant have been used for health and healing purposes by many ancient civilizations. Of course in our modern times we have also abused the purpose of this plant, but that is a whole other story. What we do know is that when used appropriately, this plant contains many beneficial nutritive and health properties as will be described below. The coca leaf’s documented ancient uses and those discovered by modern science span a large area of health conditions. They include using the coca leaf as an anesthetic and analgesic to alleviate the pain of headache, rheumatism, wounds and sores, etc. According to WebMD, people chew coca leaves to relieve hunger and fatigue and to enhance physical performance. Coca extracts are used for stimulating stomach function, causing sedation, and treating asthma, colds, and other ailments. Coca tea is commonly used for altitude sickness in the Peruvian Andes and other parts of the world. There have also been reports of using the leaves as a stimulant for concentration and enhancing cognitive function. According to a 1981 study published in the Journal of Ethnopharmacology on thetherapeutic value of coca in contemporary medicine, coca appears to be a useful treatment for various gastrointestinal ailments, motion sickness, and laryngeal fatigue. It can help in weight reduction programs and physical fitness, and may be a fast-acting antidepressant. The coca leaves are a rich source of various alkaloids, which can help or hurt our health depending on how they are used. It is therefore important to remember that many plants, including the coca leaf, are very powerful medicines, and should therefore be used with the help of a knowledgeable expert. It is important not to mix alcohol with your use of the coca plant, or use it if you are pregnant or breast feeding. We can incorporate these wonderful benefits of the coca leaf most often in tea form, however chewing the leaves is also a common practice. When chewed they produce a sense of warmth in the mouth and have a pleasant, pungent taste. In this, its natural, form coca does not produce toxicity or dependence. 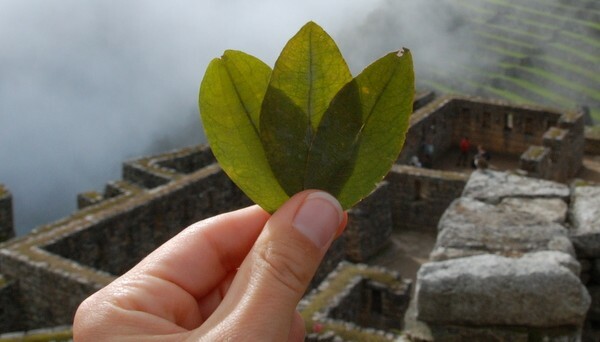 As mentioned in the introduction, coca leaf is native to certain parts of South America, like Peru, so the best way to take advantage of its unique benefits is to experience is for yourself.